Utahns Against Hunger is proud to be a part of the Partners for Breakfast in the Classroom, a consortium of national education and nutrition organizations that provides technical assistance and financial support to help school districts in Utah to increase breakfast participation by implementing breakfast in the classroom programs. Partners for Breakfast in the Classroom is an initiative funded by the Walmart Foundation. In Utah, approximately 146,000 children struggle with hunger. The School Breakfast Program makes it possible for all school children in Utah to receive a nutritious breakfast every day. Yet, 34 children in Utah from low-income households ate school breakfast for every 100 that received free or reduced-price lunch in the 2014–2015 school year. While this is an increase from the prior year, there is opportunity for growth. Serving breakfast in the classroom, as a part of the school day, removes many of the barriers associated with low participation in the program, such as tight bus schedules, late arrivals, and stigma associated with the traditional program. Utahns Against Hunger, along with the other Partners for Breakfast in the Classroom, is committed to helping schools in Utah increase breakfast participation. 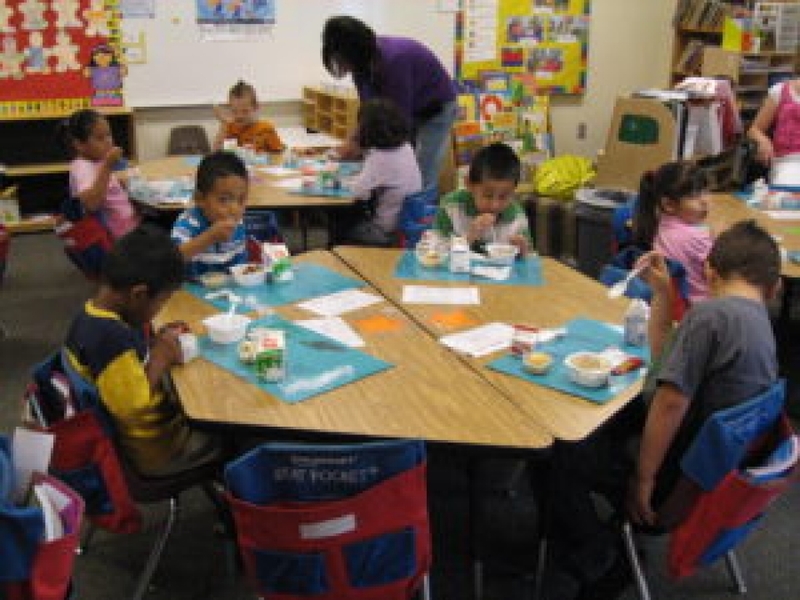 Utah partners include: Utah Education Association, Utah School Nutrition Association, and Utahns Against Hunger; along with national partners: the Food Research & Action Center (FRAC), the National Association of Elementary School Principals Foundation (NAESPF), the School Nutrition Foundation (SNF), and The NEA Foundation. Eating breakfast can improve children’s diets and may reduce their risk for obesity. Studies show that children who regularly eat breakfast have a better quality of nutrient intake and are less likely to be overweight or obese. The grant is targeted to help school districts and schools in high need to cover the upfront costs often associated with the startup and implementation of breakfast in the classroom and “grab and go” programs. Grant funds can be used to purchase equipment and supplies, provide limited staff support and training, or procure marketing materials and other related expenses. Willingness to promote the program through social media and school district communication channels. Visit www.breakfastintheclassroom.org for more information about the initiative and to download the grant application.